Inspired by the warrior king of medieval England, the King Richard the Lionheart Sword with Plaque features gorgeous detail throughout its construction. Golden tones decorate the extravagant hilt, and Celtic patterns adorn the blade. 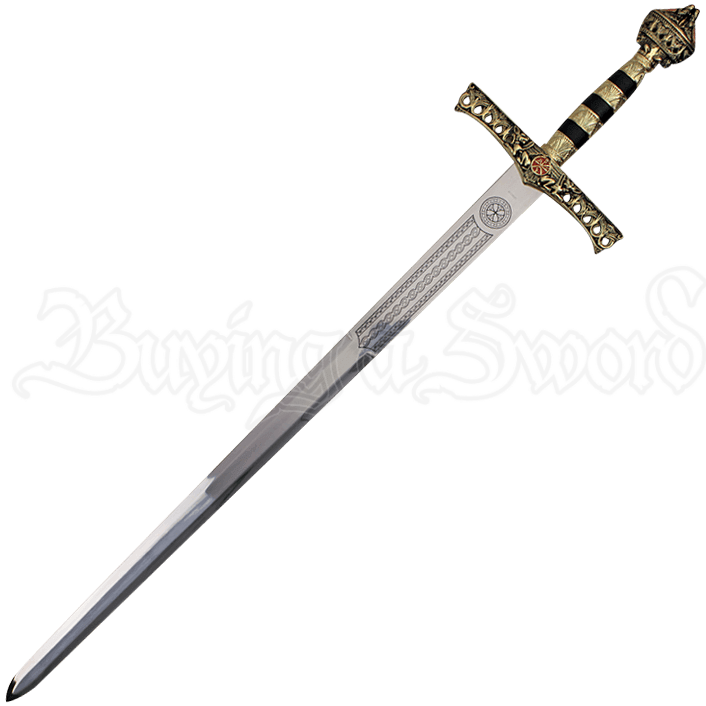 The lines and circles of Celtic knotwork decorate the ricasso of the stainless steel blade, next to the intricate crossguard. Two medieval beasts appear surrounding a red emblem on the crossguard, surrounded by curling details with cut-outs. The grip of this decorative sword is striped with black and gold tones, followed by an extravagant pommel. 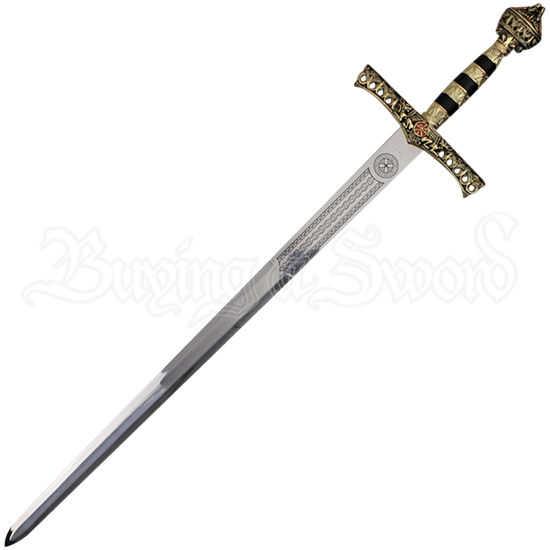 With an included wooden wall plaque for easy display, this replica Lionheart sword makes an impressive addition to medieval themed displays and sword collections.